Kensington Glass Arts, Inc. has hired Roger Williamson as the new Safety Manager for KGa. 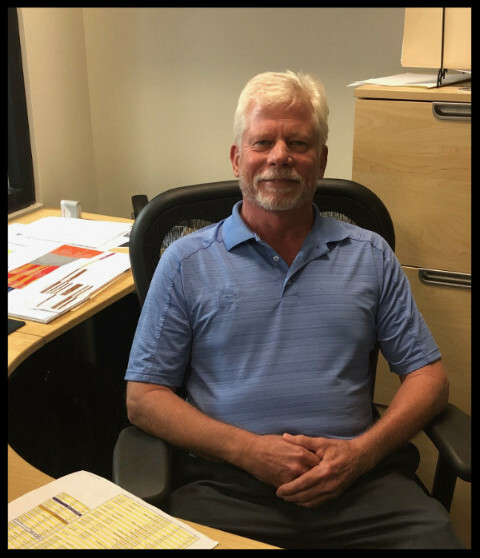 Roger comes to KGa with over 30 years of experience in safety, environmental remediation and transportation. With Roger’s experience and the existing culture of safety already in place, KGa looks forward to elevating their safety culture. Roger began his career in the safety industry in 1998 as an instructor for the OSHA General Industry class. He obtained his safety professional certification in 2000 and later served as the Director of Safety within various divisions at both Charles E. Smith and Pepco Energy Services. According to Roger, there are two things that fuel his passion for safety; first, “when an electrician or glazier with 20-25 years of experience in the business says they really learned something after taking one of my instructional safety classes;” and second, “discussing alternative measures for doing work that includes a variety of safety resources in order to choose the best set up and execution for a safe, productive and quality job.” Despite being new to the glass industry, Roger is enthusiastic about his new role and is actively learning from the knowledge and experience of his colleagues from both the Fabrication shop and the Contract Glazing field. He strives to be a resource to KGa employees and wants to offer safer alternatives to the day to day processes. Roger’s first goal as the new KGa Safety Manager is to get to know the employees. He says, “my job is to pull together components of the safety program and the best people I can find to support each of those components. This can only be done by getting to know everyone and assessing their strengths.” Roger’s long-term goal is to continue to foster and strengthen the existing safety program at KGa by encouraging his new colleagues to focus on the motto “Why We Work Safe.” Every KGa employee has someone or something special in their life that drives their motivation to work safely. With Roger’s guidance, the safety program at KGa can now develop into a more robust safety culture.